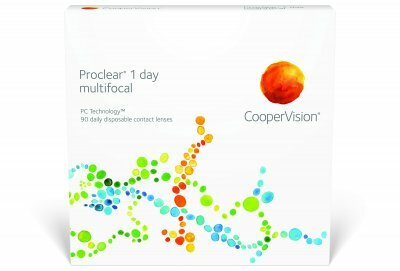 Proclear 1 day multifocal lenses are the perfect choice for disposable use and related dryness. The contact lens surface technology used in the production of proclear multifocal contact lenses attracts and binds water to the lens surface to keep eyes comfortable all day long. Proclear provide outstanding vision at all distances. They provide near, far and in-between focusing clarity.